Land the perfect 360 with 360 degrees of phenomenal views. Western Montana's larger communities offer skate parks for visitors looking to boardslide and ollie alongside our talented locals. Got a skater in the family? Make one of our parks a stop on your family vacation. The Polson Skatepark is another incredible Dreamland park that features a transition section that varies from mellow easy to deep vert with the "helmet." It also has a super fun pyramid, and a large step gap. From Highway 93, turn west on 7th Street East and continue to 7th Avenue East. This Whitefish Skatepark has 15,000 square feet of riding, including a burly large bowl with an oververt pocket and one of the best street sections in Montana. Located just east of downtown Whitefish at 290 Armory Road. Located in Missoula on the south side of the Clark Fork River, Mobash was named one of the top five parks in the country by Amazing Gridline. It has an expansive transition section complete with a cradle and kidney bowl and rad street section with buttery granite ledges. Oh yeah, and it's lit at night. Take Orange Street across the Clark Fork River, make your first right. Skatepark Association is a Missoula, Montana based non-profit organization comprised of parents, professionals and lifelong skateboarders who are dedicated to encouraging active lifestyles and healthy choices for today's youth. This skater-owned and operated shop is a family-friendly place for skaters of all skill levels. From Missoula, take Broadway west out of town. Continue past the Missoula International Airport for one and a half miles to 6150 Training Drive. The Skate Ignatius Project is a 100 percent volunteer-run project. The skatepark includes a clover bowl, a one-of-a-kind feature in Montana. From Highway 93 North, turn right on Mission Drive. Follow the curve of the road to Taelman Road and the skatepark. Woodland Park is a large peaceful park with flowers, a lagoon, playground, picnic area an ice rink with a warming hut and a skatepark with a Dreamland bowl. 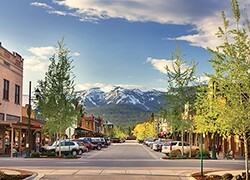 From downtown Kalispell, go east on Second Street East. Continue though the intersection with Woodland Avenue. Turn north on Woodland Park Drive. The skate park is on the left. In 1997 the Coca-Cola/YMCA Skate Park opened its doors, or, rather, its gates. Today, this multiuse park has undergone many changes with the addition of new ramps, as well as three half-court basketball courts for the non-skater. The park is only open during monitored hours and pads and helmets must be worn at all times. The park is rockin' and rollin'. The park is only open during YMCA hours. Located off Brooks Street at 3000 Russell Street.